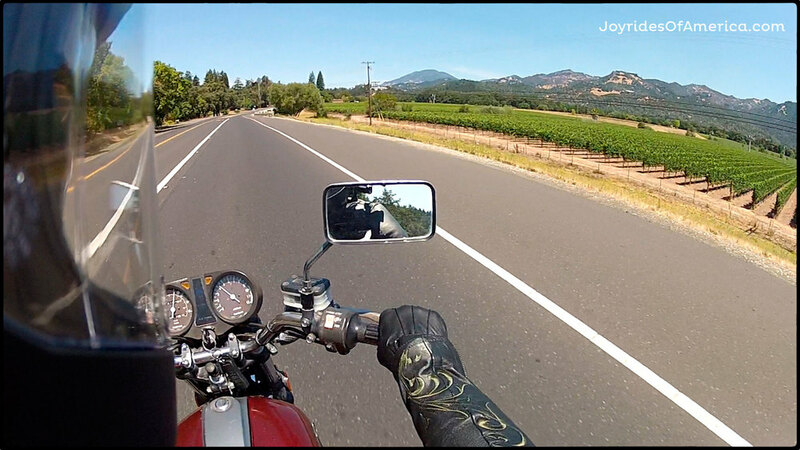 In a little over an hour, you can drive from 105-degree beating sun, clear blue skies, lush vineyards and world-class wineries to 50-degree coastal fog, blustery cliff-tops and cozy, warm coffee shops. It might be that the glow of Napa Valley attracts a larger crowd, but the Sonoma Coast offers weather – a welcome balance to the routine hot California day. 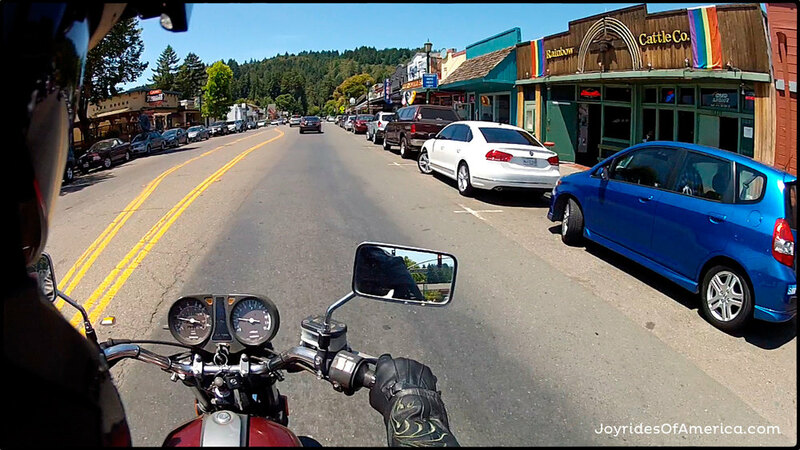 Road-wise, it’s a straight shot from Calistoga to Jenner, but the way twists through mountains, hugs the Russian River, dips into dark redwood forest and finally lands you in Jenner, where the Russian River meets the sea. Here, the tiny town clings to the river’s north bank, while on the opposite side of the river (across the Route 1 bridge), Goat Rock State Park gives you an elevated perch for panoramic views of the Russian River and coastline. Ok, so maybe it’s not ALWAYS cold and clammy on the coast. On the day I decided to capture this ride on video, it was a rare sunny and warm day. 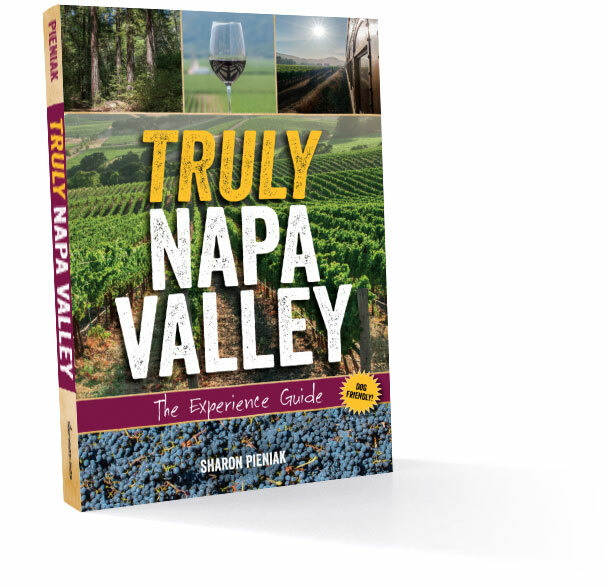 It’s famous for its mud baths and hot springs, but Napa Valley’s most up-valley town is also the least-visited and tends to be the most low-key. Calistoga Roastery is a good place for coffee and wi-fi. Hydro and Sarafornia are good for breakfast. It’s easy to love a town that announces itself as a No-Hate Zone when you arrive. Situated on the Russian River, Guerneville gets busiest on summer weekends, when loads of river-lovers descend to cool off and play in the water. As with any town nestled amongst the Redwoods, there are nooks and crannies to discover here. Don’t miss Armstrong Woods, an accessible place for all to stroll among the giants. For your soundtrack and local news, tune in to local community radio station 95.1. It’s hard to miss the large Quonset hut and arched sign of Monte Rio. The historic hut houses a movie theater and café with outdoor seating. A short walk to the Russian River brings you to a swim beach. Perfect combination. Giant gooey cinnamon rolls and fresh loaves of artisan bread should tempt you to make this twisty eight-mile forested drive to Raymond’s Bakery. Be careful on the weekends, though, when office workers don their lycra, mount their road bikes and occupy this twisty, narrow road. Be ready with your brakes as these cyclists spring up on you and are nearly impossible to pass. Besides having a gorgeous RV park (Casini Ranch Family Campground), Duncans Mills is a place to browse specialty shops, grab some food and drink, stretch your legs and enjoy the open space of the Russian River Valley. Get coffee from the Gold Coast Coffee and Bakery then wander over to the historic wooden railroad cars at the Duncan Mills Depot Museum. The Blue Heron has live music and an outdoor deck on summer Sunday afternoons, too. good. The temperature cools, the river widens and the valley opens up. 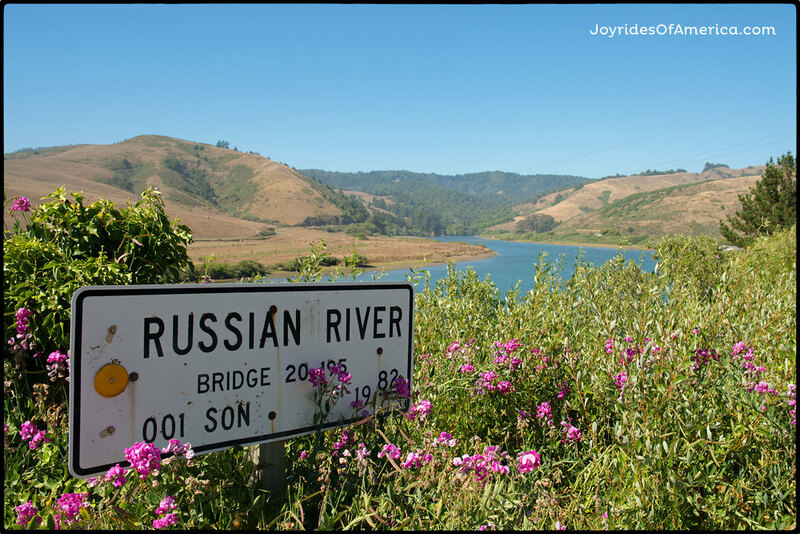 Situated at the mouth of the Russian River, don't miss the tiny town of Jenner. For good food and coffee, stop into Cafe Aquatica, a locals' favorite place to hang out and enjoy the landscape. The visitor center next door will tell you all about the area, and a tent across the street will rent you a kayak to paddle with the seals. Down the road, I hear River’s End is a great place for dinner and more stunning views. Backtrack on Route 1, cross the river and soon you’ll find the entrance to Goat Rock State Park. Chill on the beach here (literally) or enjoy the panoramic views from above. It can be an ideal picnic spot, if the weather is right.